To get started with publishing a Google Drive document to a CMS, you must set up a content type with a body type of Google Drive. Learn how to do so here. 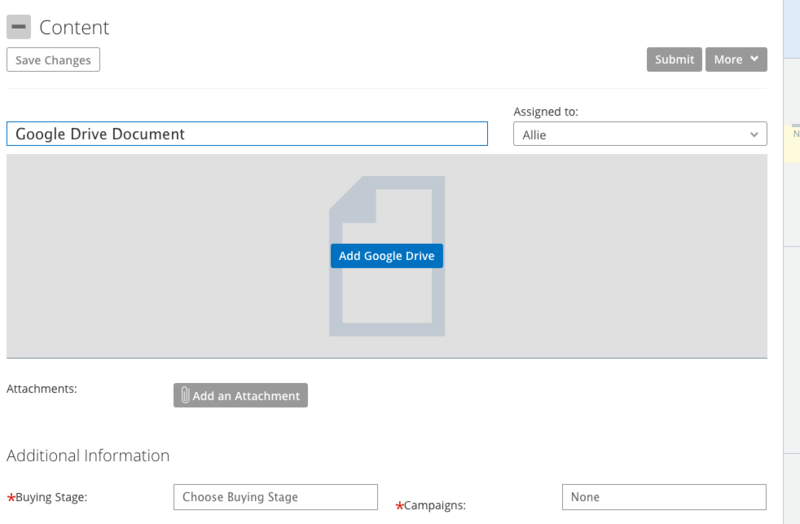 After setting it up, create a new piece of content using your new Google Drive Content Type. See the body of content below. There is a button to Add Google Drive content. Note: Kapost only supports pulling in Google Documents; Slides and Sheets are not supported. 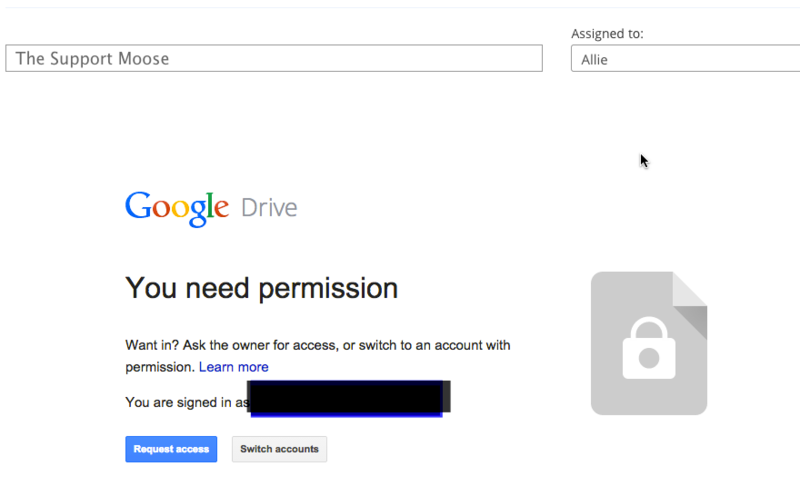 If this is your first time adding in a Google Drive Document, you will be prompted to give Kapost access to your Google account. If you are logged into a different account, you will be told you don't have the right permissions and will be asked to log into the account attached to your username in Kapost. Once the Add Google Drive button is clicked, you can create a new document, or insert the URL of an existing Google Document. 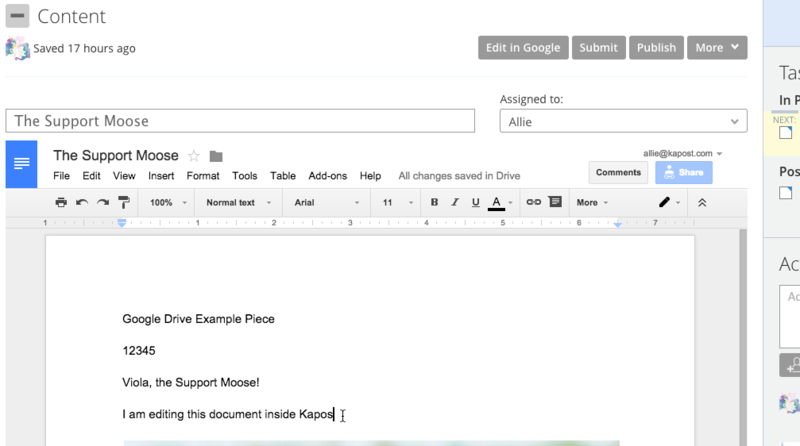 You will be able to edit your Google Doc within Kapost or click "edit in Google" if you'd prefer to edit it in Google Drive. See the example below. 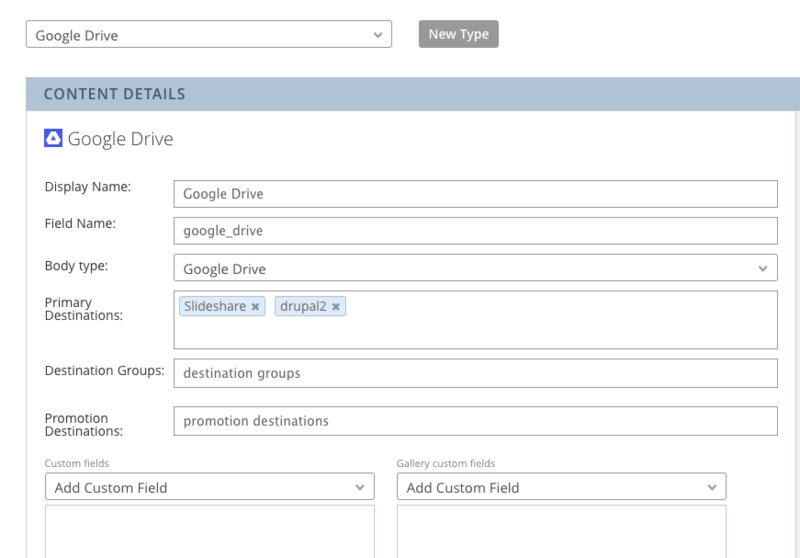 When ready to publish click the Publish button then select the correct destination. Below is an example of how it might look on a CMS. If it goes to Salesforce, this document explains how that works. Note: When publishing google docs to a CMS, supported formatting includes photos, hyperlinks and bulleted lists. Italicized, bold, strike though, colored and wrap text formatting will not pass though to your CMS.